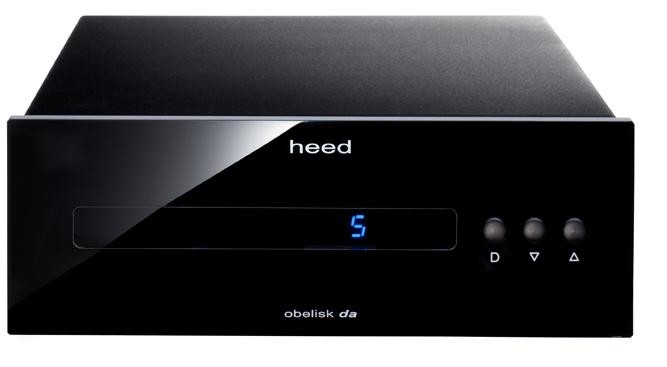 The Obelisk DA is our multiple input, remote-controllable flagship Digital-to-Analogue converter. At the DA's heart lies the new the Dactil 1.2 DAC card, based on a Wolfson D/A chip and a new Cirrus receiver, and capable of 24bit/192 kHz high resolution signal processing. A deceptively simple module with excellent musical qualities, the Dactil 1.2 manages to scale new heights in the employ of the Obelisk DA's 'no compromise' approach, featuring entirely independent supply rails for its analogue and digital sections. The Obelisk DA accommodates 5 digital inputs: two S/PDIF (one RCA, one BNC), two TOSLINK and one USB. Two outputs are available, one with 1.25V output voltage as direct connection from the converter, while the other one is boosted to 2.5V by a dedicated preamp section similar to the analogue circuit of the PRE, making it an ideal source for fans of passive pre-amps. The DA is not only the ideal compliment to our DT compact disc transport, it will also extract the very best from any digital source: computers, media servers, DAB tuners, satellite boxes, etc. And its modular DAC card and USB interface upgradeability assure future-proof enjoyment for many years to come.